Go on patrol with Bobo police and drive the police bus around the city. Be on the scene when a bank is being robbed and take criminals to prison. Bobo police is a fun hidden objects game for babies and toddlers and is developed especially for small kids. 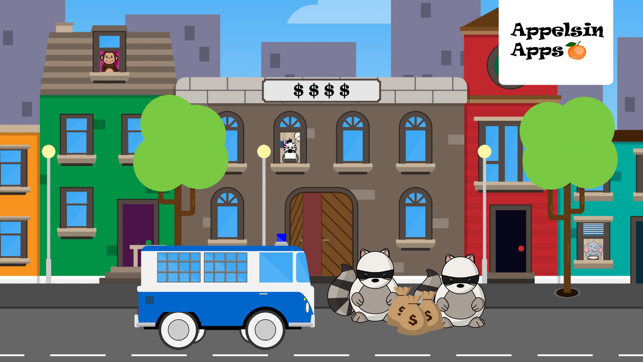 Kids can play through this police game in their own speed and discover new things and the game is loaded with cute animals and funny sounds. 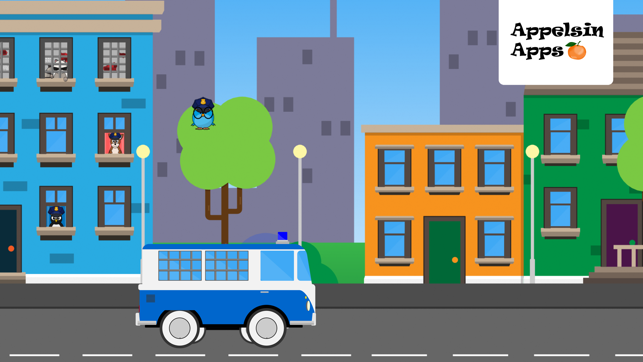 This police game is kid-friendly and simple so even the younger ones can easily navigate through the app. Bobo Police for Kids is a "play and learn" app tested by children around 1-6 years old. 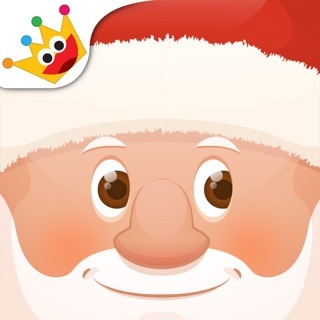 The interface is clear, interactive and supports iPhone, iPod Touch and iPad. Great app to introduce your babies to learn more about colors and animals in a kid-friendly way. Bobo Police for Kids support English and Swedish. 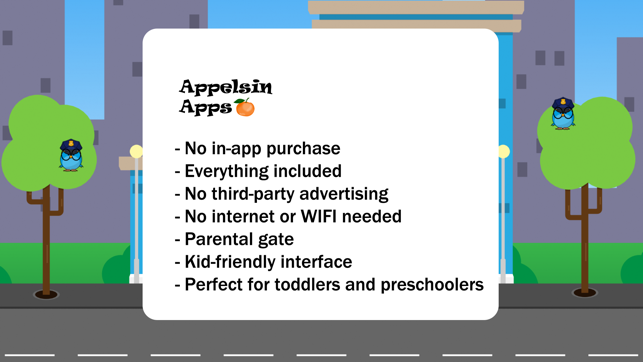 If you like this game please check out our other apps for preschoolers and toddlers, you find them all at our website www.appelsinapps.com. Police game for toddlers and babies. Minor improvement.